We're excited to announce the new class of Planning & Assessment Services sites from our latest application round! We look forward to beginning site visits for the following institutions in the coming weeks. Application materials for DHPSNY's Planning & Assessment Services are accepted year-round and reviewed three times a year. The next application review deadline is Friday, March 15, 2019. Visit our Planning & Assessment page to learn more and apply. The Miriam and Ira D. Wallach Division of Art, Prints and Photographs: Print Collection, The New York Public Library. "Night shadows." 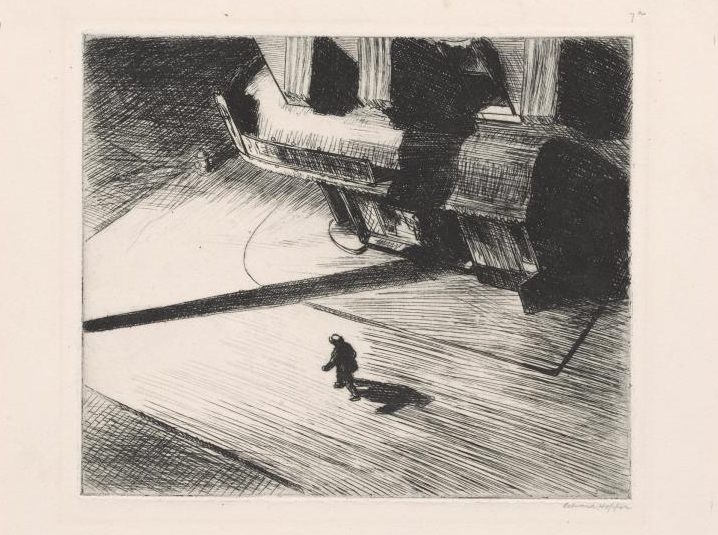 Edward Hopper, 1921.